The workshop has happened. Thanks to the attendees! The 6th VERSIM Workshop 2014 Programme and the 6th VERSIM Abstract and Programme Book is available online. VERSIM working group description: The working group on VLF/ELF Remote Sensing of the Ionosphere and Magnetosphere (VERSIM) is an international group of scientists interested in studying the behaviour of the magnetosphere and ionosphere by means of ELF (300 Hz - 3 kHz) and VLF (3-30 kHz) radio waves, both naturally and artificially generated. The group was set up in 1975 by IAGA (International Association of Geomagnetism and Aeronomy) and URSI (International Union of Radio Science), as described in the working group history. Originally the emphasis was on probing of the magnetosphere by whistlers, but later the scope became somewhat broader. The group aims to promote research in this field by facilitating the exchange of ideas, information and experience between active research workers and other interested scientists. This is done through regular meetings at IAGA and URSI Assemblies, a regular VERSIM community workshop, and via the circulation of a newsletter. The group has also been active in sponsoring scientific symposia at IAGA and URSI Assemblies, in areas relevant to its field of interest, and in coordinating observational campaigns. At present the main subjects of interest include Plasma structures and boundaries - morphology and dynamics, Wave-particle and wave-wave interactions, Wave-induced particle precipitation, Wave propagation in magnetosphere and ionosphere, Sprites and the effects of lightning on the ionosphere. There are currently over 100 scientists from about 26 different countries on the VERSIM mailing list. 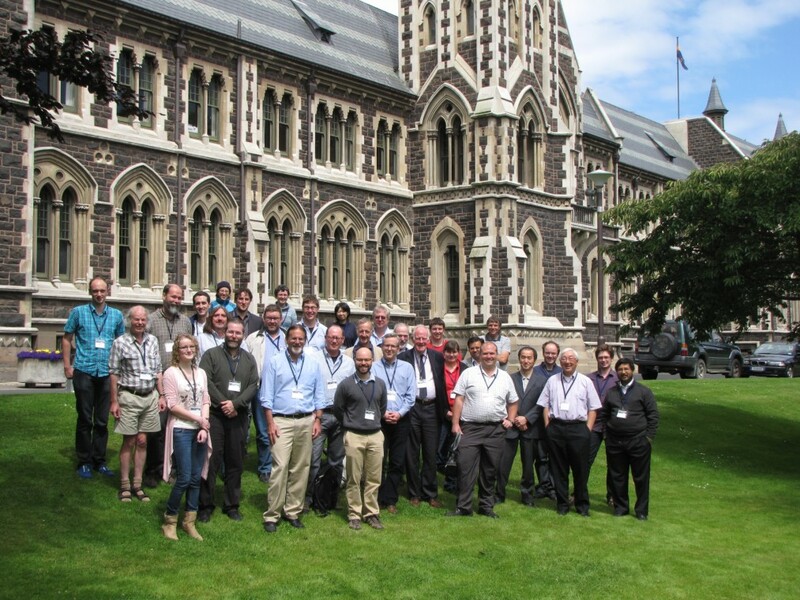 University of Otago, Dunedin, New Zealand hosted by the Space Physics Research Group. 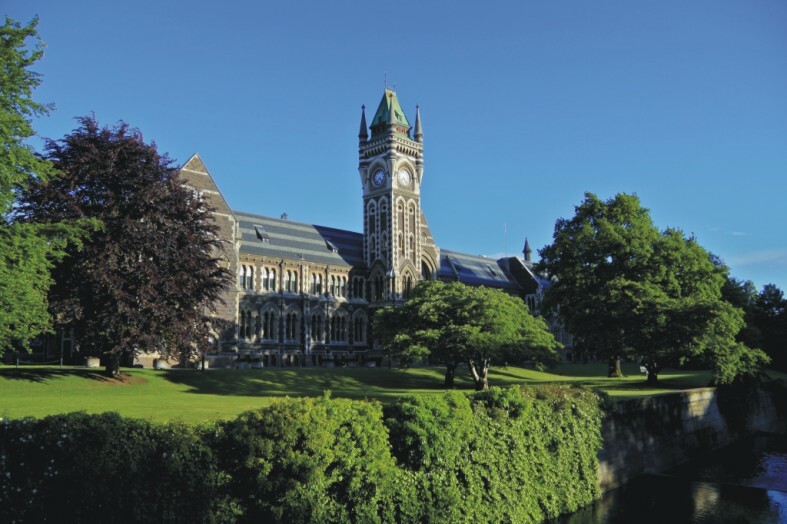 The meeting will be held on the ground floor of Otago's Department of Physics, located in the Science 3 building at the north-west corner of the campus on the corner of Cumberland and St. David Streets. The formal parts of the workshop will span 3.5 days (Monday through to late on Thursday). We will follow the well establish VERSIM workshop tradition of having longer talks and time for questions and discussion.. Our social events includes an Icebreaker on the Monday evening, an excursion on the Tuesday afternoon, and a conference dinner on the Wednesday night (note that this has changed since early November, when we realised that many people were leaving by Thursday night). The excursion to be out to Otago Peninsula, to see some of the local wildlife. The 6th VERSIM Workshop 2014 Programme is now available online. Early-bird registration fee closes 15 September 2013 NOTE that the financial deadlines are set in stone and we have been informed we cannot change them. Registration is now being accepted online. You will need to pay using a credit card. Cancellation Policy: Cancellations received before 30 October 2013 will be refunded, less 25% of the total. Refunds after this date will be at the discretion of the committee. All refunds will be processed after the workshop takes place. Early Career researchers should be aged under 35 (in line with the definitions used by URSI). Student/Early Career researcher Early-bird and Normal registration fee is NZ$250. 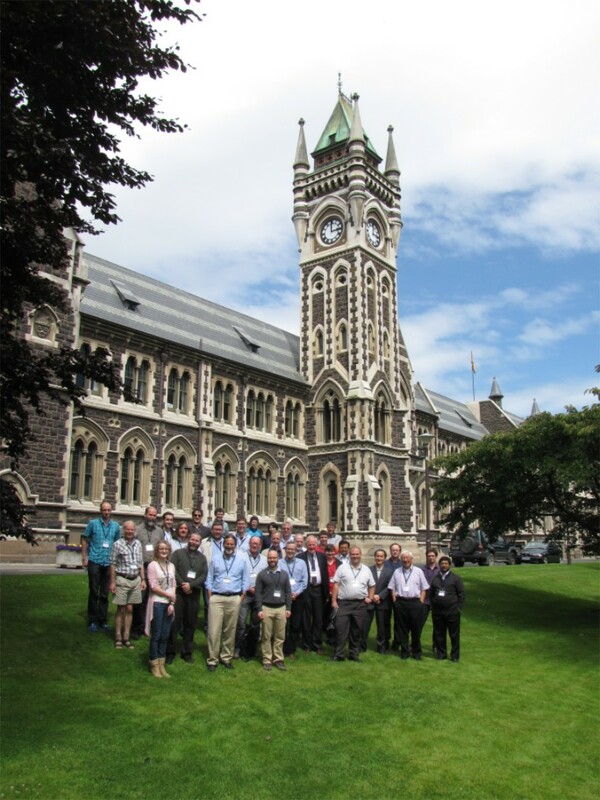 Student/Early Career researcher Late registration fee is NZ$450. The fees above will include the Conference Dinner and Excursion, Lunches on each day of the Workshop, the Ice breaker function, as well as morning and afternoon teas. Only those who have paid the registration fees may attend the scientific sessions of the workshop. [we also hope to run a small accompanying persons programme with some walks around the city and optional visits to some notable sites. We hope that accompanying persons and any associated children will be able to attend the icebreaker function at no cost - this will be confirmed once registration closes]. Note that we have set up the online registration so you can register your accompanying person separately from yourself (if you wish). In that case you would register yourself using a "work" credit card, and register and pay for accompanying people and children's fees with a different credit card (if this suits you). We are accepting abstracts (preferably in plain text format) through the email versim14@lists.otago.ac.nz. We will confirm the arrival of all abstract submissions within a few days of your email. Participants may submit up to TWO abstracts for Oral Presentation, and an unlimited number of Poster Presentations. However, the inclusion of the abstract in the workshop programme, and the nature of the presentation will be determined by the Scientific Programme Committee and the Local Organising Committee. An example of the basic abstract format is available as a PDF file although note we are expecting a plain text abstract. Note that the abstract should include the authors, affiliations, and 200-300 words. We also request that below the abstract submitters include the contact details for the presenting author. Abstracts will only be included in the programme and abstract book if the presenting author has completed registration (including paying the registration fee). There are a lot of accommodation options in Dunedin, which has a vibrant tourist industry. Participants for the VERSIM14 workshop should organize their own accommodation in the North Dunedin area (i.e., close to the University), unless they want to stay at a student hall of residence. In that case we will arrange the booking and you should contact us (more details below). The University has available a list of nearby accommodation providers to aide your selection. Note that the colleges listed on this webpage will not have capacity during our workshop, look below for a college residential option. We understand that you will know your accommodation needs best and thus you are in the best position to to arrange what suits. However, some participants may prefer to stay at a Residential Colleges (i.e., a student "hall of residence") which is on the edge of the campus and can provide a practical lower cost option. We have arranged bed and breakfast-style accommodation (generally with shared facilities) at University College (UniCol), which is a 5minute walk to the Physics Department (see map at this link). The rates are given below. Bookings for UniCol should be made by emailing versim14@lists.otago.ac.nz. We will need to know your arrival and departure dates and times, gender, any special dietary needs and any other issues (i.e., mobility). Bookings for UniCol need to be made with us by 1 December 2013.
pp/n = per person, per night. p/n = per night for the room and should not exceed the maximum number of people as indicated. We have a limited number of rooms in each category available at UniCol, which will be allocated on a first-come, first-served basis. Note all rates are GST inclusive. Please also attach a CV. Jean-Pierre Raulin (Center for Radio Astronomy and Astrophysics Mackenzie, Mackenzie Presbyterian University, São Paulo, Brazil). Many countries have visa-free status - find a list here. Immigration NZ provides detailed information on visa requirements on their website. Participants who are not from a visa-free country will need to apply for a Vistors Visa's from Immigration New Zealand, using the Visitor Visa Application (INZ 1017). Obviously, this will need to be done well in advance of the meeting! Those participants requiring a visa should write to Craig Rodger to get a letter of invitation - you should do this after having submitted an abstract to the VERSIM workshop. ImmigrationNZ have indicated that the more information we can supply to support the visa application, the more smoothly it will probably go - one example suggested was to mention if people have already paid the registration fee to attend. How do I get to Dunedin? The main international entry points for New Zealand are the airports in Auckland, Christchurch and Wellington. Most participants are likely to be flying into Auckland, and then flying onwards south to Dunedin. However, international flights from Dunedin are available to Sydney and Brisbane with Virgin Australia and note that Christchurch and Queenstown (both in the South Island) also receive international flights from as far afield as Dubai and Singapore. Domestic to/from Dunedin flights are readily available to destinations throughout New Zealand. Air New Zealand flies into Dunedin airport regularly from multiple domestic destinations while Jet Star flies daily from Auckland. Biosecurity is strict when entering New Zealand. This means be very careful about bringing in any food product! New Zealand's environment and agricultural industry is the backbone of our economy, and the NZ Ministry of Primary Industries takes any threats to our biosecurity very seriously. New Zealand has one of the strictest approaches to biosecurity in the world, which you will encounter on arrival into the country. The simplest thing to do (if possible) is to bring no food with you, or use the disposal bins in the airport before you get to the screening points. Take care to complete your Passenger Arrival Card carefully and completely, and if doubt about any item you are carrying, declare it! What is food? If it goes into your mouth, its food. This could be seeds, nuts, snacks, drinks, etc, etc. Be careful! Find out further information at the Biosecurity website. We recommend that you purchase New Zealand currency at the airport where you first arrive in New Zealand, or have a plan so you don't need cash until you get to the city and can go to one of the banks there. There are limited currency exchange facilities at Dunedin Airport. Note that credit cards are widely accepted in New Zealand. Dunedin Airport is about 25-30min drive from the City. There is no bus service or other public transport between the airport and Dunedin. Shuttles (shared taxi vans) and Taxi's are available from outside the airport for all flights. You can find out information on typical prices and some of the operators at the airport from the Dunedin Airport Transport webpage. If you would like to pre-book (and pre-pay) for a shuttle or taxi, or check the likely costings, you can use the Air New Zealand Taxi Webpage. Note we will not be organising transfers to and from the airport. Central Dunedin is flat and easily walkable (although most people live up in the hills). The university is located in the northern part of the city. Map of the university: http://www.otago.ac.nz/about/otago042558.pdf or try the Map for Mobile Devices like Smart Phones and iPADs. The 6th VERSIM workshop has received financial support from the International Union of Radio Science (URSI) Commission H and Commission G. We have also received "moral support" from Commission E.
We have received financial support from the International Association of Geomagnetism and Aeronomy (IAGA), which includes the chance to put forward a young scientists (under 30 years old in 2013) for an IAGA Young Scientist Prize based on the best scientific presentation at our workshop. We also wish to thank the Air Force Office of Scientific Research, Asian Office of Aerospace Research and Development for their contribution to the success of this conference. This document is maintained by C .J. Rodger and was last updated 27 January 2014.